Over 50s’... 50 - 99 years young! 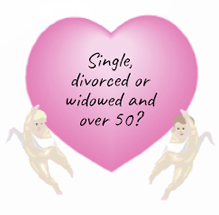 Are you single, divorced or widowed and over 50? Are you looking for a new relationship but feel it isn’t as easy to meet someone as it used to be. Wondering where you can go to meet someone genuine? Just Introductions can help; we believe in love and companionship at any age. We understand that on-line dating can be very daunting so we go back to good old fashioned values; we offer you the opportunity to meet a new companion, either on a one-to- one date or at one of our group social events. And we check everyone out in their own homes so you will know those you meet are genuine. The social events vary from coffee mornings, cream teas, boat trips, walks, Sunday roasts, picnics, National Trust house and garden visits, dinners and dances - to name but a few. We encourage suggestions for events from our members, so please tell us what you would like to do. 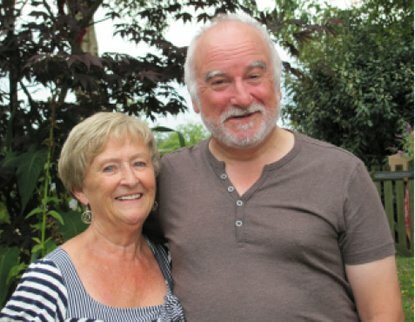 We have hundreds of testimonials from happy couples that have met through us and they stay in touch; if you meet through Just Introductions you will have a lifetime membership (as long as you stay together). Afterall, your friends are here so you are more than welcome to continue to come along to the social events and Christmas parties too! Nick and Jenny found love - and you can too! “Jenny and I have found real companionship and genuine affection has developed. We are looking forward to a long term relationship. I have come to rely on Diana knowing that with her caring attitude I was encouraged to believe that somewhere there is that special person. When I joined I had been a widow for just over five years and I felt very lonely. A friend recommended that I join as she herself had joined and found happiness. I plucked up the courage and phoned Diana and I am so glad that I did. I met my first and only introduction Nick and we hit it off straight away and we have been together ever since.